Smash Palace-Do it Again. These Philly power pop icons really need no introduction, and album #8 finds them once again in top form. In fact it takes about three seconds to come to this conclusion, as the jangly guitars that open "Living it Lonely" let you know that you're at home. "It's Easy" is a melodic rocker that compares to their 80s compatriots The Smithereens, and the title track manages to be both bluesy and Beatlesque. They're also effective when they take things down a notch, on the plaintive "21st Century Boy" and the mellow but menacing "Sympathy Runs Deep". Stephen Butler and company Do It Again, and by "it" I mean deliver the power pop goods. 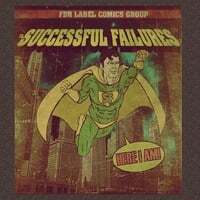 The Successful Failures-Here I Am! This Jersey band has always been a favorite, mainly because they're not afraid to eschew the familiar power pop song topics of girls and cars in favor of stuff they just find interesting, and they usually do so with a skewed, humorous bent. This time around, subjects of their whimsy include "How People Start Sentences", "The Rise of China", "Mickey Mantle's Knees" and "Viking Heroes", among others. But while their choice of material might be goofy, they take their melodies and musicianship seriously so they don't come across as cute or precious. The common thread here is no-nonsense, straight-ahead rocking power pop in the tradition of their label (FDR), and this might be their best and most consistent release. 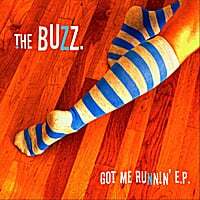 The Buzz-Got Me Runnin' EP. The Buzz is the latest project from Washington DC popper J. Forte, whom we last heard from as The Secret Pop Band a few years back and also has recorded under his own name as well as with Ape House. As The Buzz, Forte gives us an excellent 4-song EP that meshes well with his past work, with the title track a spare yet melodically rocking winner and the "Hey Beatles" finds him calling on the Fab Four for inspiration. And you don't have to be Canadian to enjoy the midtempo "Sweet Manitoba". A release worth buzzing about, and a shoo-in for the top 10 year-end EP list. Hall of Ghosts-A Random Quiet. 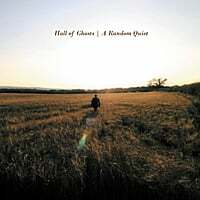 Hall of Ghosts is the solo debut of the UK's Jim Williams, who is more likely known to you as the frontman of Popicana purveyors Additional Moog, whose Thirty-Three & Third was a real standout several years back. Williams doesn't stray too far from his old sound on this 8-track mini-CD which will appeal to fans of The Jayhawks and Wilco. The opener "Bye Bye, Big Blue", in particular, has a real Gary Louris feel to it, and "Giant Water" recalls Joe Pernice's work in the Scud Mountain Boys. And the upbeat "We Are Finally Happy for Standing Still" has the melodic charm of tracks like "El Guiro" from his Additional Moog days. A definite claimant for the title of melodic Americana album of the year to date. 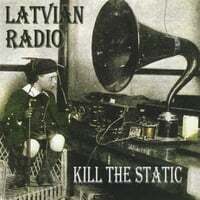 Latvian Radio-Kill the Static. This New York band snuck into my 2009 Top 100 with Seven Layers of Self-Defense, which at the time I didn't actually review. Rest assured they'll place significantly higher at the end of this year, however, as their latest disc Kill the Static is a joyous power pop delight. The best way to describe their sound is a mix of Shins-like indie pop, Brendan Benson and Elvis Costello. The title track is one of the standouts here - catchy, driving and pleasantly agreeable, while "Cigarettes & Soda" combines a new wave beat and sunshine-y pop. Elsewhere, "Dead Weight" could pass for a Replacements-styled rocker, and "Out of Your Mind" is a tasty treat that makes use of horns. A highly enjoyable disc that's perfect for the summer to come. 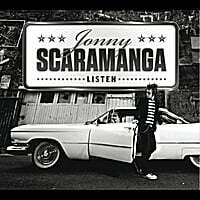 Jonny Scaramanga-Listen EP. An impressive debut EP for this English rocker. Scaramanga fits the classic power pop mold, following the Butch Walker/Cheap Trick template of crunchy guitars and sugary melodies. "It's Good to Be Alive" opens with just the right amount of melody and swagger, and the title track could find its way onto "modern rock" radio. Meanwhile, the power ballad "What If I'm Not Enough?" shows that he has his craft down. Fans of the "power" side of power pop will want to give this a......Listen. 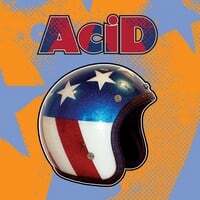 Acid-Acid. This Jersey band may be tough to Google, but their hard-driving Cheap Trick-meets-The Replacements melodic rock is easy to enjoy. There's also a touch of glam here as well as Strokes-like vocals, and their frontman goes by the name "Special K". What's not to like? Top tracks: "Dead", "Sheila", "Born to Stay". 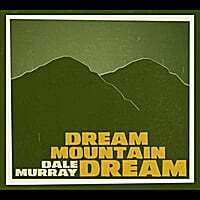 Dale Murray-Dream Mountain Dream. Murray is the former guitarist for the Canadian folk-rock-Americana band Cuff the Duke, and his return to solo recording is an excellent "Popicana" record chock full of Wilburyesque jangle. Those who enjoyed recent releases from the likes of Mike Barnett and Marco Joachim will want to have a listen. Top tracks: "Dream Mountain Dream", "Assess the Mess", "Now You've Been Warned". 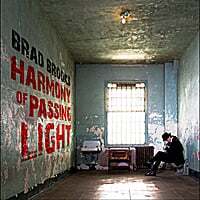 Brad Brooks-Harmony of Passing Light. Quirky popster Brad Brooks is back with his followup to 2007's Spill Collateral Love, and it's another effort that doesn't quite exactly sound like anything else in your collection. Brooks mixes various pop styles and puts his own spin on them, making each song a surprise from what came previously. Top tracks: the piano & sitar R&B-based "Calling Everyone", the George Harrisonesque "Steal My Disarray" and the Rufus Wainwright-style balladry of "Farewell to Folderol". 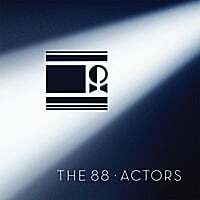 The 88-Actors. "Actors" is an appropriate name for an EP by a band whose songs have found their way into numerous films & TV shows (including the wonderful "At Least it Was Here", the theme for NBC's "Community"). Their latest is a bit more subdued than normal but still highly melodic, and a must-have if you count their earlier releases among your collection. Top tracks: "Blue Skies are Black Again", "Do You Love Me", "My Friend John". The Squires of the Subterrain-Sandbox. 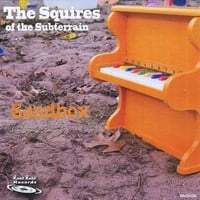 The Squires are back with more of the XTC/Dukes of Stratosphear-meet-the-Beach Boys sunshine-y psych-pop we've known and loved from them in the past, and Sandbox fits right into their canon, with a bit more of a lean to the Beach Boy sound this time around (hence the title, I suppose). Top tracks: "Idling in the Sun", "Surfin' Indiana", "Woodrow Wilson".